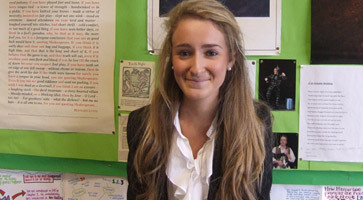 Isabella Buono, a lower sixth student at The Grammar School at Leeds, has achieved top marks in her GCSE English examination. She was one of nine students to achieve a top mark out of 817,000 candidates who sat the examination this summer. She is to receive a certificate of achievement from the examining board AQA next month. Isabella is currently studying English Literature, History, Religious Studies, Government and Politics and French at AS level.